Ober Gatlinburg will kick-off the 2018-2019 Winter Season with the 7th Annual Back in Blue Rail Jam on Friday, November 16th. Back in Blue is the East Tennessee Ski Area’s signature season opening event. 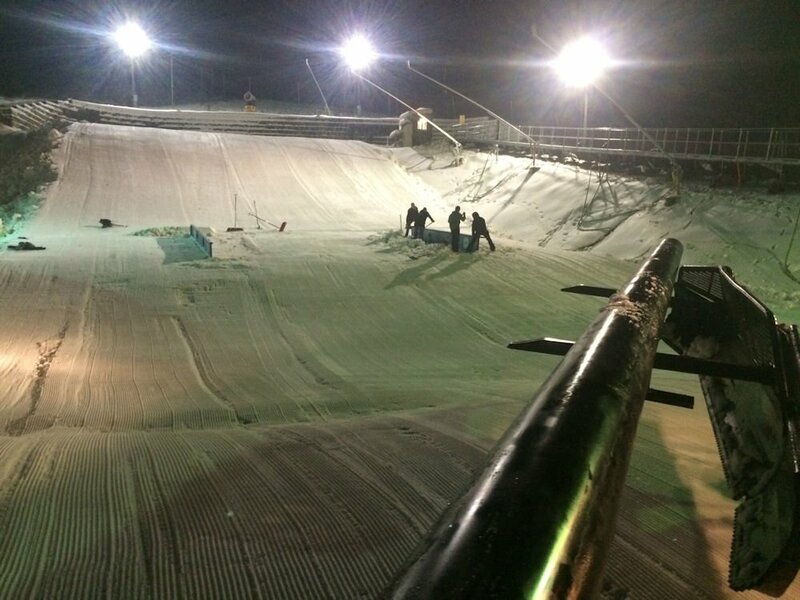 Held outdoors in Ober Gatlinburg’s spacious Tubing Park, Back in Blue competitors will have use of the facilities and spectators will have ample viewing space and snow-side seating. 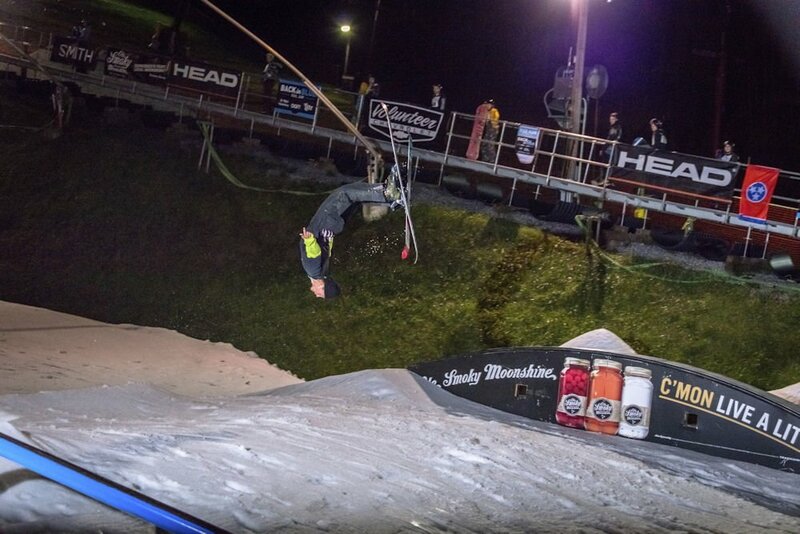 Complete with a full “Rail Jam” setup, Back in Blue is the earliest on-snow freestyle event in the southeast. Regional up-and-coming talent from Virginia, North Carolina, Georgia, and Tennessee are anticipated at this year’s event. The 2018 Back in Blue Rail Jam will be better than ever. 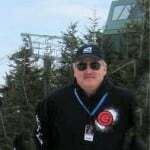 United States of America Snowboard and Freeski Association (USASA) will partner with Ober Gatlinburg in hosting the sanctioned event. Both USASA members and non-members alike are encouraged to participate. Age groups will include Under 9, 10-13, 14 and Over, and Open. The Back in Blue terrain park offers a variety of boxes, rails, and jumps. With the use of Snow Magic, warm-weather snowmaking technology, and the recent purchase of 18 new snow guns for traditional snowmaking, the snow will be excellent for this fun and fierce competition. 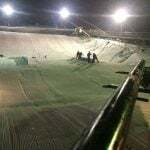 The Rail Jam is open to both skiers and snowboarders. Rail Jam participant registration begins at 5:00 PM and will be $20 for competitors, helmets required. The fee includes entry into the Ober Gatlinburg Freestyle Terrain (OGFT) Rail Jam, event t-shirt, and a raffle ticket (including a GoPro Camera and several other great prizes). Those who are interested in also accumulating USASA points must be a member of USASA and register at their tent for no additional fee, except for membership. Competitors can register online at www.obergatlinburg.com, those under 18 must submit an additional hard copy waiver signed by a guardian. 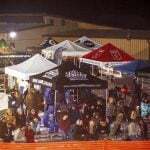 Follow both Ober Gatlinburg and Ober Gatlinburg Freestyle Terrain (OGFT) Facebook pages for more event information, updates, and announcements. This year’s event is graciously sponsored by Volunteer Chevrolet, Snow Magic, Mountain Hardware, Prinoth, Ole Smoky Distillery, Sierra Nevada, GoPro, Pluto Sports, Alpine Ski Center, ThirtyTwo, Wigwam, and Outdoor Research. Back in Blue is free for spectators to view the competition and to participate in the outdoor festivities including Knoxville’s DJ Red, reduced Season Pass prices, food and drink specials, and vendor representatives from both local and national brands. 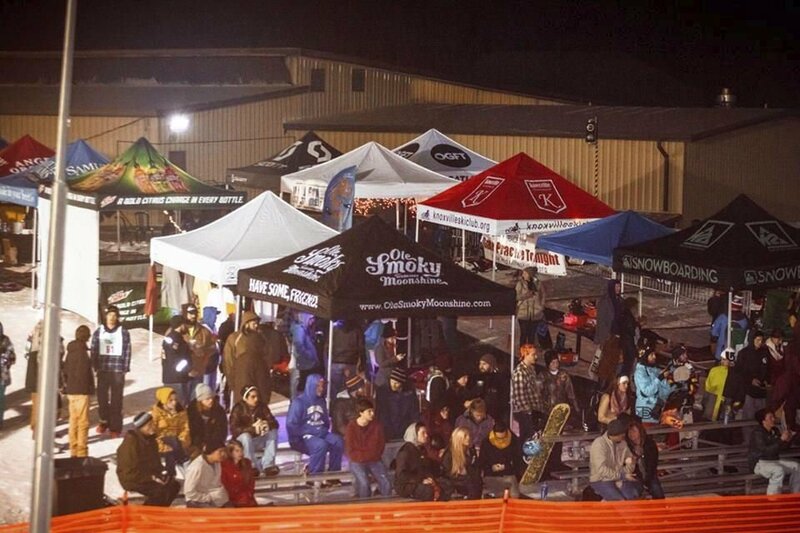 The Rail Jam competition kicks off at 6 PM and, afterward, the party will move indoors around 8:00 PM to Ober Gatlinburg’s Seasons of Ober Restaurant for awards and Ober’s annual Movie Night. This year’s feature is “Ode to Muir” – a film by Teton Gravity Research, and Seasons of Ober will have food and drink specials for event attendees. After the event, Ober Gatlinburg will clear the terrain park features and prep the hill for its Snow Tubing season which opens the next morning on Saturday, November 17th at 11 am. We have three divisions competing for grand prizes. For more information on Ober Gatlinburg and their events, contact 865.436.5423, visit www.obergatlinburg.com, or email [email protected]. Some nice shots: Click to Enlarge! Previous articleCataloochee to Reopen Friday! Next articleNearly 6″ of SNOW FELL in the Region. See Where! Lots of Photos to Share!